Shell first established its presence in Singapore in 1891. Since then we have grown into one of the Island's largest foreign investors employing about 2,400 staff. In 2008, Shell Singapore received the Best HR, Best Graduate Development Practices, Best Change Management Practices awards at the HRM Awards. Shell Singapore also won the coveted Work-Life Excellence Award organised by the Tripartite Committee on Work-Life. In 2009, Shell Singapore received Best use of Technology 2009 and Best Reward & Recognition 2009 at the HRM Awards. · To provide technological guidance/ troubleshoot operational issues in Conversion Processes, which require longer-term study. · To raise Capex investment proposals for projects. · To constantly investigate the enhancement of profitability of the Conversion through product upgrading or energy conservation and to take the necessary steps towards achieving these goals in close cooperation with Operations. · To assist in selecting the most optimal catalysts and chemicals for the Conversion Units and to ensure that the catalyst and chemicals costs and consumption are optimised against the unit margins. · To provide external technological support to the Projects group in technology for Major Projects involving the conversion processes from scouting/BOD/BDP/BDEP/EPC, commissioning and start-up. · To ensure technological safety in all proposals and plant modifications made and support Technical HSE Reviews. - Operate process units within the Production Area safely, efficiently and in accordance with operational plan. - Produce products that meet the customers' requirements, specifications and needs. - Manage any plant upsets and subsequent trouble-shooting including incidents/plant emergencies. - Report all incidents, near misses, deviations from plan, and take part in further investigations when required. - Assist in coordination of daily maintenance planning, and participate in minor maintenance activities and shutdown/start-up of units. - Assist in keeping process materials and operational records. - Perform the role as an Auxiliary Fire Fighter. Shell first established its presence in Singapore in 1891. Since then we have grown into one of the Island's largest foreign investors employing about 2,400 staff. In 2008, Shell Singapore received the Best HR, Best Graduate Development Practices, Best Change Management Practices awards at the HRM Awards. Shell Singapore also won the coveted Work-Life Excellence Award organized by the Tripartite Committee on Work-Life. In 2009, Shell Singapore received Best use of Technology 2009 and Best Reward & Recognition 2009 at the HRM Awards. Shell Trading integrates a global trading portfolio of crude oil, refined products, natural gas electrical power and chemicals. With trading volumes of about 14 million barrels of crude oil equivalent per day and over 9 billion cubic feet of natural gas, this organization has over 2000 employees and the international scope to capitalize on trading opportunities inherent in Shell's asset and market positions across the world. Members companies of the Shell trading Network are located in North and south America, Asia, Europe and the Middle East. 1. Give HSSE matters a high profile to create a safe and healthy working environment for staff & contractors and ensure maintenance activities comply with HSSE MS,legislative,ISO 9001,ISO14001 and OHSA 18001 requirements. 2. Comply with Bukom HSSE MS procedures. 3. Implement assigned controls identified in the HSSE-MS,such as those in the Refinery Bowties,Hazard Sheets and HRAs. 4. Ensure work parties have right HSSE competency to carry out Elect activities in the PU. 1. Provides day-to-day HR support to individuals and Managers within the client groups/business units by providing advice to managers and staff on routine matters as & when required. 2. Provides support to a range of HR-processes and programmes within the client groups/business units and follow-up. 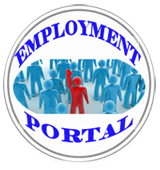 o Manage contents for employment documents (including new joiners,confirmation,transfer,contract,promotion,SRA) for HR admin processing. o Assisting and follow up on complex staff enquiries on policies and processes e.g. benefits and payroll matters. • Support HRM in remuneration adjustment,merit increment,bonus payment,internships,CEP,PIP,ranking,confirmation,job evaluation,post NRD and other relevant human resource processes. The product manager is responsible for product planning, reasoning and execution. S/he will manage the full product lifecycle. This includes, but is not limited to: product concepting, external validation, defining, gathering and prioritizing consumer/customer requirements, writing MRD's and PRD's, and working closely with Design, R&D, Marketing, Sales, Retail, QA, Care, and external partners to ensure maximum customer delight and revenue impact. We are looking for experienced Product Validation Test Engineers in San Diego. General Purpose: Develop digital and integrated marketing proposals, quickly digesting and leveraging insight about partner properties to serve Nokia objectives. Also possess an understanding of the retail environment / channels to aid in the development of branded promotions on behalf of Nokia. Main Responsibilities: Coordinate added-value programs with media partners to augment and enhance Nokia ecosystem exposure through partner media and wider marketing campaigns. Evaluate, track and analyze current and past media campaigns. Propose rates across multiple mediums on behalf of Nokia to maintain uniform frequency structures. Work within a broader team to apply digital solutions to efficiently reach Nokia's marketing needs. Get to know us at Nokia. If you thought you knew us, we invite you to look closer - this is where content digitalization, the Internet, mobility and context all converge. Mobile maps, music, games, and new technologies are explored and served up here in a comprehensive digital world. Step inside - we hope you stay a while. Take our Services division. It reflects our strategic emphasis on developing and growing our consumer Internet services as well as developing new enterprise solutions and software. Nokia's services encompass five areas: Music, Games, Media, Social Location and Messaging. The Services division also encompasses several sub-units: People and Places, Services Platforms, Service Experience, and Strategy & New Business. Services works closely with the marketing and sales functions to create maximum consumer awareness and top line growth of the services. Typical candidate has 1-3 years' relevant software development experience as a contributor in many or all of the following areas. The Data OS development backlog contains a significant amount of development work to mature and enhance the Persistence operations of DATAOS to handle advancing User needs. We need to invest in more development effort of our Persistence technology to increase our functionality coverage and provide better performance to the end user. Customer integration will significantly increase in 2H 2011 and DATAOS must be able to provide increased functionality and capability that is ahead of the customers needs. NWP Applications Software (SW) Quality organization is ramping up to provide all the testing services necessary to support NWP Applications SW development entity. We are currently looking for Senior Engineers, SW Testers who are passionate about quality to perform the test execution activities in Applications SW Quality. The Technical Account Manager (TAM) is the owner of the overall technical relationship with the operator and responsible for providing end to end technical expertise and knowledge of Nokia Solutions to Verizon. Whilst also being the go-to-person for the sales account teams, and being an integral part of the Sell-in and Sell-out efforts. The position spans three key phases, Pre-sales Support, Acceptance Management and Lifecycle collaboration by coordinating key partners inside and outside Nokia. A solid understanding of mobile solutions and detailed knowledge of operator environments is essential. Do you have a passion for creating great products? Do you have the skills, confidence, experience, and drive to bring them to market? Nokia's Browser Evangelism Team is looking for a talented, ambitious, and self-directed technologist to help guide our products from conception to launch. In this role, you'll get to influence the day-to-day user experience for literally hundreds of millions of people across the globe. Nokia is the world market leader in mobile phones. Our industry is fast-paced, the technology cuttingedge, and our competition formidable. We've got a lot of work to do to surpass our industry brethren. We're looking for someone up to the challenge. We're serious about hiring only the very best people. If you're one of them, we have a role waiting for you. The Browser Evangelist is responsible for the definition and implementation of an industry-leading Browser Partnering Program.